Want to reply directly from Zendesk tickets? Integration with Zendesk lets you work monitor customer reviews and reply to positive and negative reviews as quickly as possible. 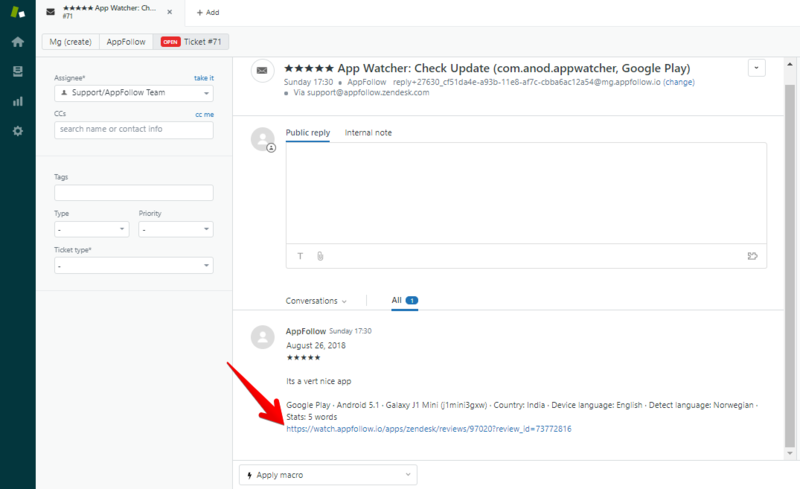 This helps you get more app downloads and improve apps' and games' visibility. Get reviews from App Store, Mac App Store, Google Play, Windows Store and Amazon App Store into Zendesk account. Click the link below the ticket to send your reply via AppFollow account. Install our Zendesk native app to make it work.